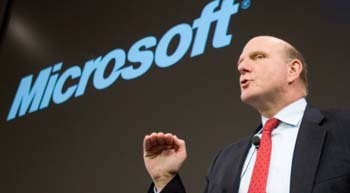 With Microsoft CEO Steve Ballmer's exit, the company could either focus on hardware or business software. Depending on the Xbox One's performance and the new direction Microsoft takes under a new CEO, the console could be the company's last attempt at gaming hardware. "I think this is a possibility," DFC Intelligence analyst David Cole told GamesIndustry International. "We have always wondered how long Microsoft would stay with the game hardware business. Their strategy for Xbox One clearly looks like it will not be a success on a grand scale." Independent analyst Billy Pidgeon disagreed, saying, "Those looking at Microsoft with a high level perspective as part of the general technology ecosystem have a tendency to think of Xbox strictly as hardware business." Nintendo, Sony, and Microsoft have all had -- and still have -- trouble marketing their game hardware. Regardless of the success or lack of success for the Xbox One, Microsoft's consoles add to a market in consumer software. In addition, Microsoft is ahead of other companies such as Apple and Google in the games market, and leaving that market could harm Microsoft. However, with a new CEO, it's possible Microsoft would compete these two companies more in the mobile games market. Asif Khan, CEO of Panoptic Management Consultants, pointed out that the Xbox is "not what brings home the donuts for Microsoft." The Xbox One may be a tricky move for Microsoft to profit on long-run, but completely leaving the gaming business would be a strange move.